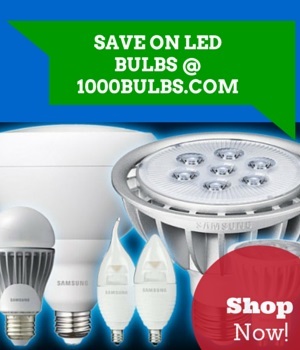 LED edge-lit troffers are the newest addition to the already extensive commercial lighting inventory found at 1000Bulbs.com. The PLT 2x2 and 2x4 LED edge-lit troffers are designed to provide users a low cost LED alternative compared to traditional fluorescent fixtures. These troffers combine LED technology along with outstanding optical performance to seamlessly replace fluorescent troffers in offices or other commercial applications. The lightweight super thin panels weigh only 7-pounds, reducing labor costs by supporting one-man installations. They are also pre-installed with quality LED drivers that streamline the process. Similar to the standard size of a 2x2 or 2x4 fluorescent troffer, these edge-lit troffers feature a prismatic optical lens design which evenly distributes light, resulting in reduced glare. According to the Occupational Safety & Health Administration (OSHA), an ideal workplace utilizes a well-distributed diffused light to help reduce eye strain and limit the amount of glare office employees potentially encounter on a daily basis. The prismatic lenses of these LED edge-lit troffers help eliminate dark spots and reduce the amount of light fixtures required to light an area. For more information on the PLT 2x2 and 2x4 LED edge-lit troffers and how uniform lighting can improve your work place, visit 1000Bulbs.com or contact our 1000Bulbs.com staff to learn more.